The entire kit is priced at $288,888. 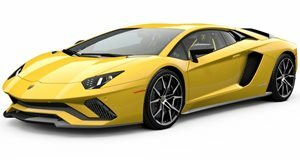 The Lambo is pushing almost 1,000 hp thanks to a twin-turbo modification, a remapped ECU, individual throttle plates for each cylinder, new fuel lines, fuel pumps and injection nozzles. The entire kit is priced at $288,888. To be clear, that’s in addition to the cost of the car. But that does include a new set of alloys, custom suspension and bespoke cabin.